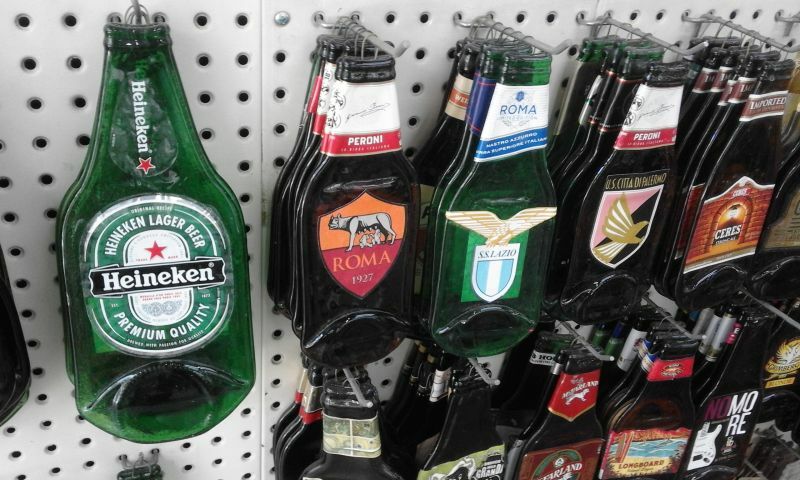 When my mom, working in Rome now, went to a local market in Testaccio, she happened to see these flat glass bottles. She could not take her eyes off them. What were they? How were they made flat like this? 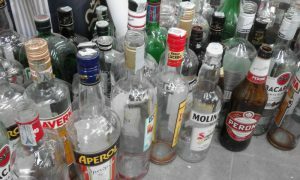 When she entered the shop, she saw a lot of empty glass bottles. 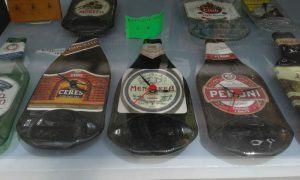 In the shop, there are a variety of flat glass bottle products, such as trays and clocks. 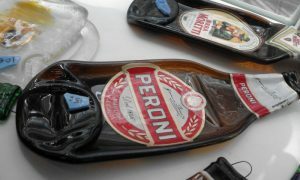 According to the glass artist working in the shop, he melts glass bottles at 800 degrees Celsius, which makes them flat. With his special techniques, the empty glass bottles are UP-cycled into artistic items. This is also an example of the effective utilization of available resources. Be Empowered with Available Resources. 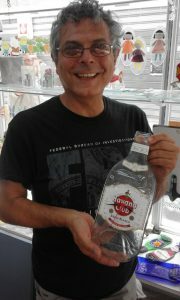 Let’s BEAR!